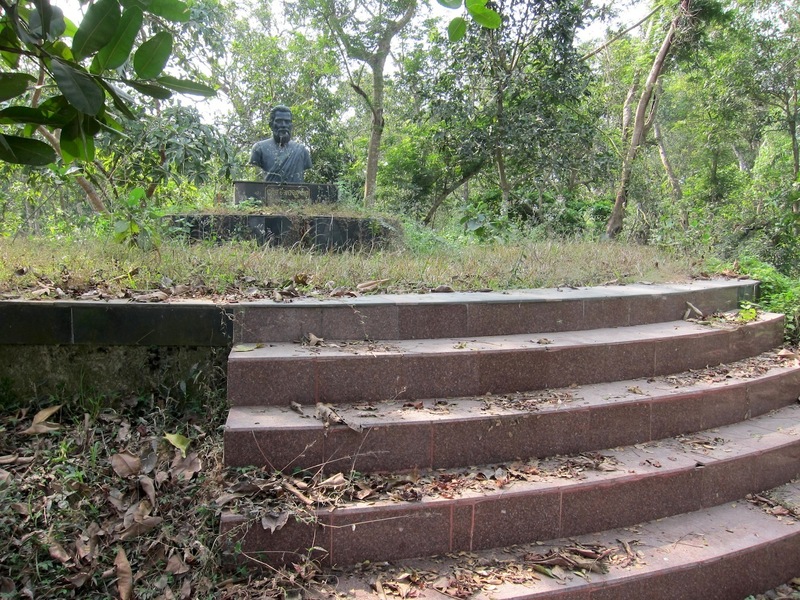 This is how the revered statue of Pandit Gopabandhu Das, famous as Utkalmani, the Crown Jewel of Orissa, whose humanitarian services to the downtrodden people has no comparison, was lying abandoned in a very sickening ugly condition in the campus of the extinct Jatiya Vana Vidyalaya (The National School of India on the lap of Nature) when in company of media consultant Pabitra Maharatha I had an occasion to visit the place. 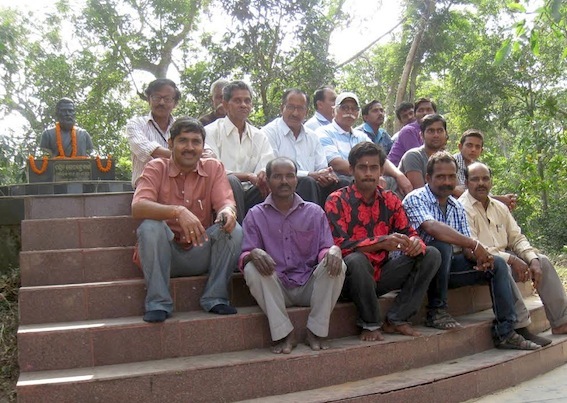 Servants of the People Society, which misappropriates millions and millions of rupees earned by Gopabandhu’s newspaper – The Samaja – by manufacturing a false Will of the late leader, has never bothered to maintain the site. There are many persons who boast of their blood link with Gopabandhu. None of them has ever wanted to keep his statue in a decent condition. 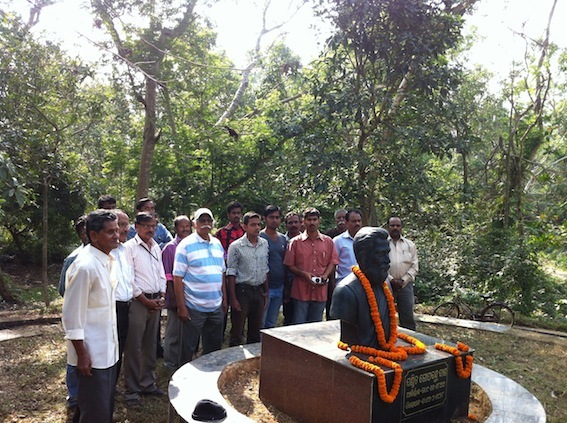 We in ‘Save the Samaja Forum’ (SSF) decided to discourage the disrespect shown to Gopabandhu and his friends whose statues in the Vakula Bana were also suffering similarly sickening negligence. 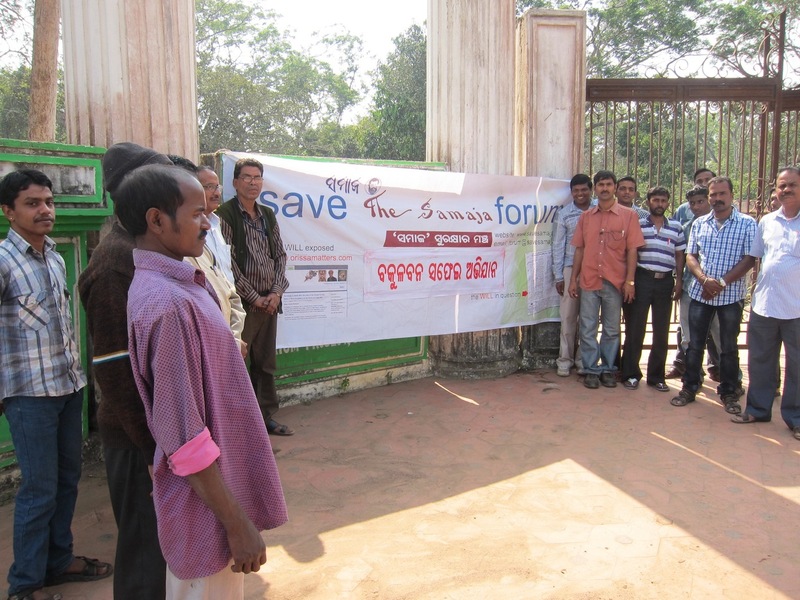 The Trade Union of the employees of ‘The Samaja’ – the Utkalmani Newspaper Employees Association (UNEA) – readily came forward to co-operate. Gopabandhu and his friends were all eminent freedom fighters and with the principal purpose to create educated patriots to make the dreams for a prosperous sovereign republic come true, they had established the Bana Bidyalaya. 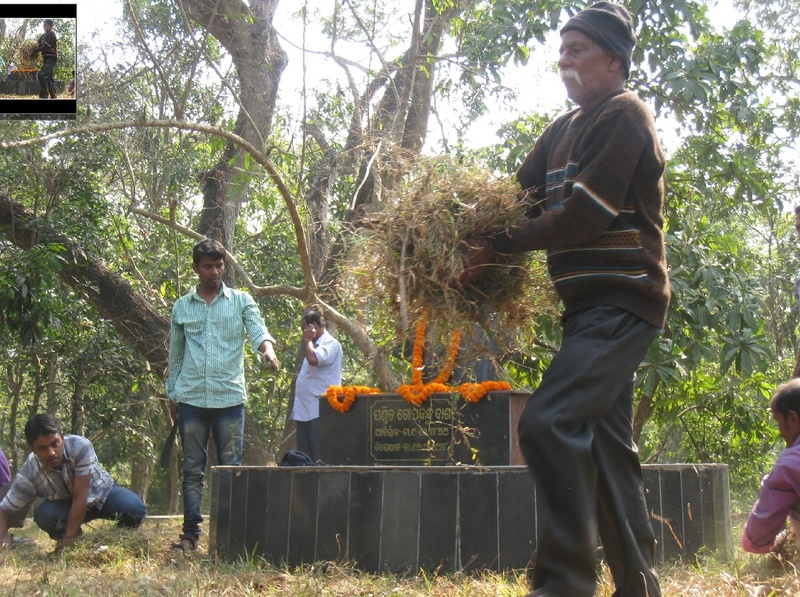 We therefore decided to to offer our Kar Seva at the asthans of the Panchasakha on the Republic Day, 2014. On January 25 we initiated the action by informing the people of Satyavadi about our idea of salvaging the Pancha Sakha statues from the heap of gut-wrenching negligence and disrespect. We found the Bana Vidyalaya site locked, with its key in custody of an temple executive. We met him and requested him to keep the Bakula Bana open on January 26 for our Kar Seva, giving him a printed copy of our appeal to the people against disrespect being shown to the Pancha Sakha statues. As we reached the entrance gate on January 26, we found the gate locked with garbages and litter covering the entry path. We swept them out, while waiting for the endowment caretaker to unlock the gate. The mission was christened “Bakula Bana Safei Abhijan”. Eminent citizens of Satyavadi were one with SSF and UNEA in cleaning the garbages. 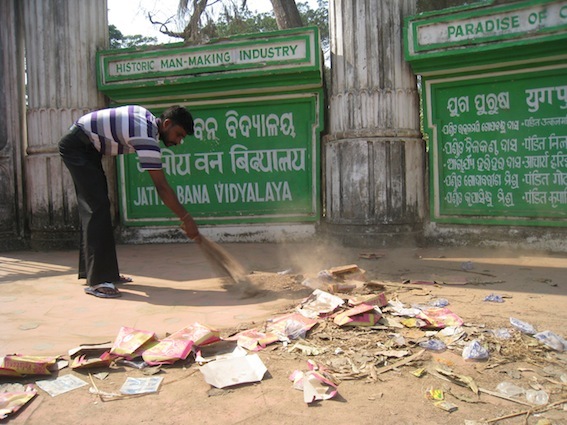 Then the statues as well as the podiums of Gopabandhu and the other four revered teachers were cleaned. The Kar Seva gave tremendous patriotic pleasure to the participants. Here is picture captured at the podium of Gopabandhu, just to facilitate a comparing with the picture at the top of this presentation. 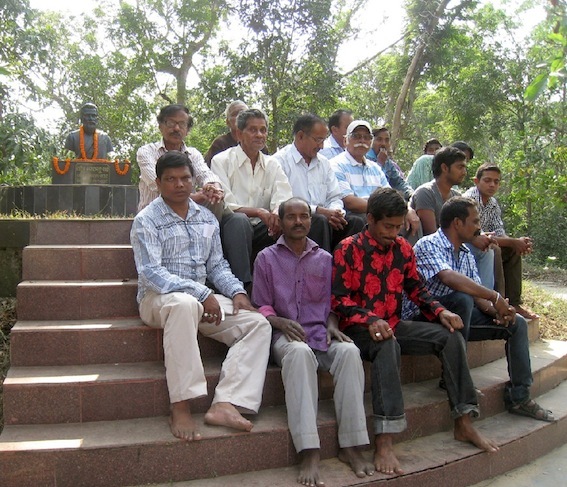 ￼After Cleaning the podium and the statue by way of kar seva, participants sat with satisfaction at the feet of the the statue of Gopabandhu (as also at the other four podiums). Young activists of Satyavadi – Satyabrata Hota, Rakesh Mohapatra et al have vowed to see that podiums of the Pancha Sakha – holier than holiness – are not any more disrespected. 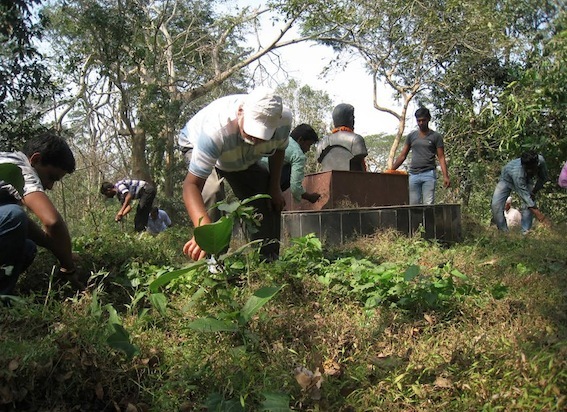 Very nice work done ….regularly I am following your posts..which I found very informative about Orissa. One year back, I visited Bhubaneswar, Orissa is entirely different what I read in the papers.It blessed with historical grandeur than any state of India. Thanks Dear Murthy for the kind and inspiring words.